I didn’t think I was going to be a mother. It wasn’t in my proverbial cards. Then I met and married my now husband. And everything changed. I believed we could create a life together, and nurture that life. We were solid enough. We’d work hard enough. I trusted my partner, for the first time in my adult life, to be a partner — to handle his share of the responsibility. I was lucky in many ways. I had married and divorced two men who already had children, and who didn’t want more. I’ve often been grateful that they didn’t. When I divorced, I didn’t have to continue my immature choice. Whatever diseased dynamic that had existed, at least between the two of us, could be over. I had emotional work to do, that’s for sure. But continued parenting wasn’t in front of me. Divorce with children can be something quite different. It takes significant emotional maturity to “get along for the children’s sake.” And do it sincerely. My hat is off to the people who do it, and do it well. I admire their ability to put their children first. This isn’t as difficult with an amicable divorce, or when two people have agreed on many things during the divorce procedure. But defensiveness or irrationality can slip up on anyone. Here are some guidelines that I’ve learned by watching countless people maneuver the parenting waters after divorce. 1) Tell the children about the divorce together, with responsibility shared. Realize this is a conversation you’re both going to have many times with your kids. Even if one or both of you have had an affair, it’s not helpful to them to be told that one of you is “to blame” for the breakup. Their lives are being affected enough. To add the pressure of siding with one or the other is too much. As they get older, they may decide for themselves what happened. But don’t put them in the middle. It won’t help your own grief, even though you might get some temporary support. 2) Don’t allow others to downgrade or disrespect your ex. This is basic meddling. What can be offered as “support” can actually be hurtful, because it gets in the way of your own decision-making. Your job is to try and remember what you liked about your ex, what you still trust about them, and how you can co-parent with them successfully. Family or friends putting a lot of negative ideas in your head isn’t helpful to you, or to your children. 3) Have a weekly conversation about the kids — how they’re doing, how they’re handling the divorce, what their plans are and how those plans can be carried out. Kids want to know tangible things — whether or not Santa is going to come to their new house, or if each parent is still going to come their basketball games. Their behavior at school may change, or they may have trouble adjusting to a parent’s absence. Be as flexible as you can be with their need for time to grieve having divorced parents. 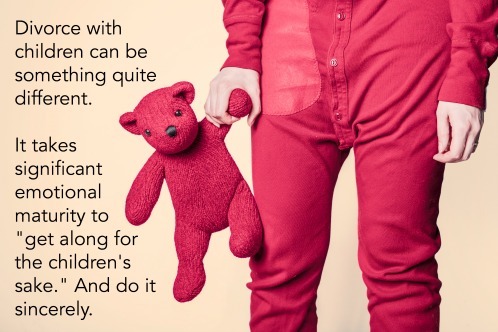 A judge may have decided a time schedule, or maybe you mediated one, but only a caring parent is aware of what their child needs. Sometimes one parent will see things much more positively, (“The kids are doing fine.”) and the other will focus on what is troubling to them (“I wish you and Dad were still together.”). That’s normal. Your kids will hopefully be telling you the truth, but they may also tell you what they believe you want to hear. No one wants your children to suffer. Create a balance between helping them feel optimistic about the future, and at the same time, allowing them to be sad about a change they didn’t choose. 4) If you can’t talk (or listen) to your ex without becoming bitter or angry, then seek help. You need to work through painful feelings you still have. For your sake, and your children’s, it’s important that you understand and accept what went on during your marriage, what worked about it, and what definitely didn’t. What about your ex might have been evident at the time you chose him or her, that you ignored or looked the other way? How can you begin to build a sense of competence, after going through the ending of a commitment. It takes time to get emotionally divorced. If you get stuck, therapy can be very helpful, in giving you another perspective to consider. You can also both go to what I term “divorce therapy.” I’ve done this kind of work during a divorce, or even years afterward, when the toxicity of the relationship was badly hurting the children. You’re not trying to reconcile the marriage, but you may need to show empathy toward your ex’s feelings, as well taking responsibility for the impact of your anger on your children. A little understanding of her or his perspective, that is different than yours, can go a long way. 5) Empower your kids to speak up. If your ex is saying negative things to your children about you, asking too many questions about you, or putting them in the middle in some other way, then empower them to ask that parent to stop. Obviously, a very young child isn’t mature enough to do this. But an older child can. If there’s a question of a parent losing control if a child asks them to stop, then that’s another issue, and may have to be addressed in the courts. 6) Introduce a new person (or job change, change of religious preference) to your ex with respect. Both of your lives will go on. You will meet other people. You might begin working, or change jobs. You might start going to church, or make some other spiritual change. For none of this do you need your ex’s permission. But things will go much more smoothly for your children if you recognize that those changes will impact your kids, and thus, your ex. If the change is big enough, it’s a good idea to give your ex a heads-up about it. This is true especially if you’re introducing someone else that you may love to the children. Simply contacting your ex, and letting them know this is about to happen, is a good thing. Take a minute to text your ex that you appreciated them picking up the kids on “your” day, or changing weekend plans to accommodate your family coming into town. Thank them for taking time off work to take care of an ill child, or helping with homework you don’t understand. Yes. It’s your job. And it’s their job — to be good parents. But just because you’re divorced doesn’t mean that gratitude and appreciation has to be over. 8) Be gracious if you have primary custody. It’s very common for parents who don’t have custody of their children to feel disenfranchised, meaning that they feel as if their influence over the children has been taken away. The custodial parent can talk to the non-custodial parent about important decisions, even though it’s not required by law. 9) Make going back and forth as easy as possible for the children. Nobody likes to feel as if they’re living out of their luggage, or a backpack. 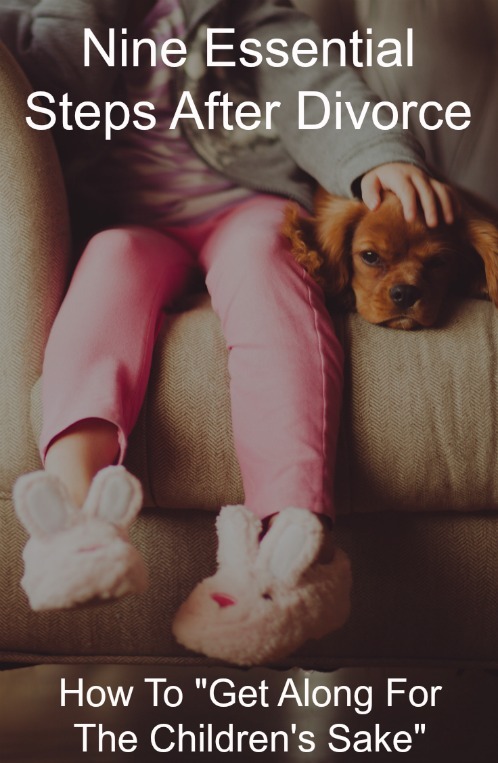 Have personal things at both houses for the kids, including especially clothes, pajamas and personal things. Obviously, cost is an issue here, and not all things can be replicated. There’s a transitional movement called “nesting” that’s helpful with couples who are amicable, where parents come and go during or after the divorce, and the children stay in the home. It doesn’t work in all cases, but can help children have time to adjust, before they’re leaving the home that they know. You can decide if it’s right for you and your children. 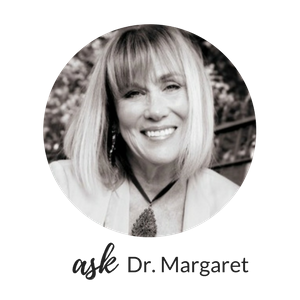 You can now listen to Dr. Margaret on her new podcast, SelfWork with Dr. Margaret Rutherford. Click here! 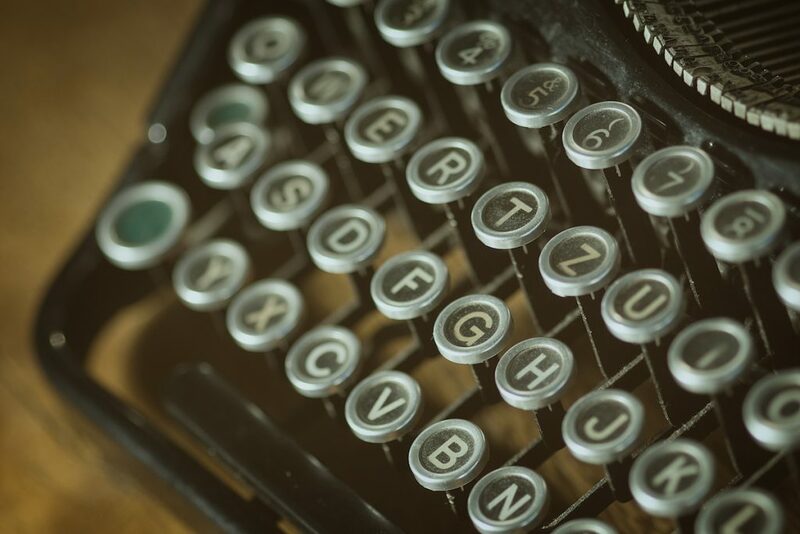 Join over 3000 people who receive Dr. Margaret’s weekly posts! SUBSCRIBE today and receive a free copy of her eBook, “Seven Commandments of Good Therapy,” a basic guide to choosing a therapist.